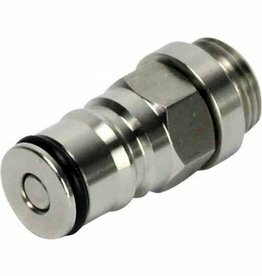 An Intertap accessory that converts the spout of an Intertap faucet into a ball lock quick disconnect. 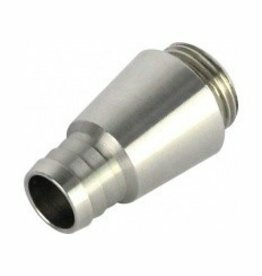 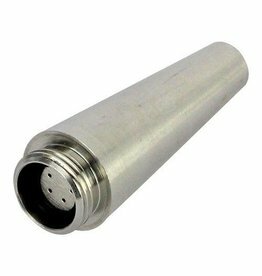 One of the most popular uses is being able to connect the beverage side of your counter pressure filler without having to open your refrigerator door. 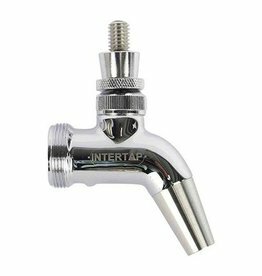 The Intertap faucet is a forward sealing faucet similar to the Perlicks. 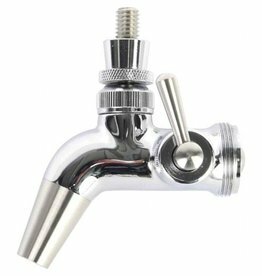 It has a modular, threaded spout which can fit a variety of different attachments including a growler filler or a stout spout. 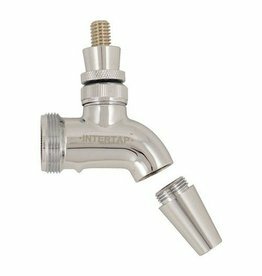 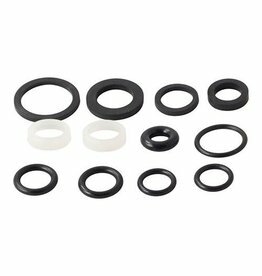 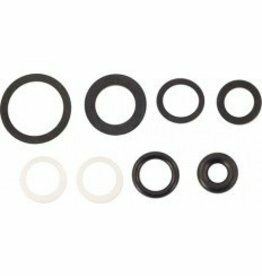 Easily attaches to any Intertap faucet. 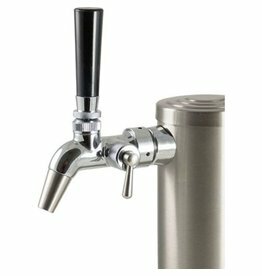 Just unscrew the standard spout and replace it with this growler spout. 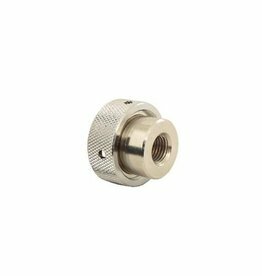 Then you'll have a 1/2" (13mm) barb on the end of your faucet. 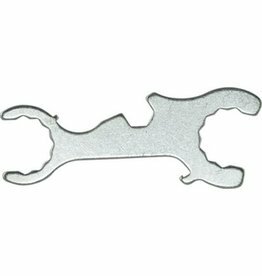 This handy tool will help with a variety of draft setups. 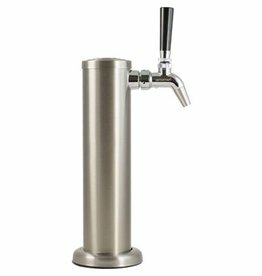 Kegerators with Intertap faucets and stainless towers represent a great value. 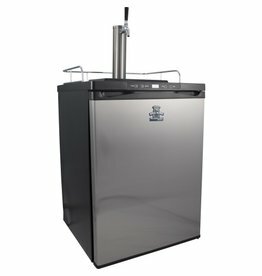 They feature stainless steel doors, digital controllers, stainless steel floors, rolling casters, tower cooling fans, glass racks, robust MKIII regulators, and more. 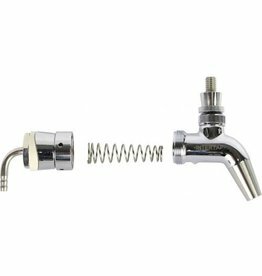 Simply unscrew the normal spout on an Intertap faucet and screw this stout spout in its place to pour your nitro brews. 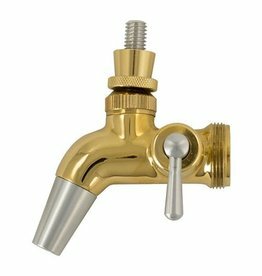 This spout has a creamer/aerator disc inside that strips out the nitrogen gas for a creamier beer.